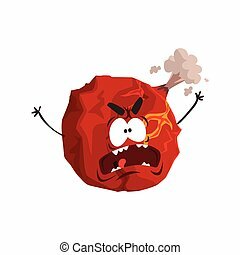 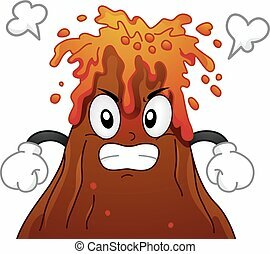 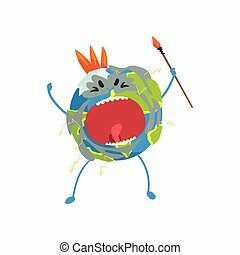 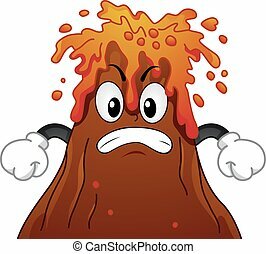 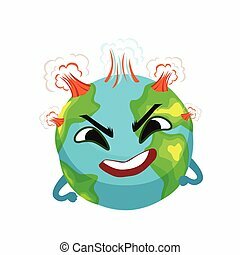 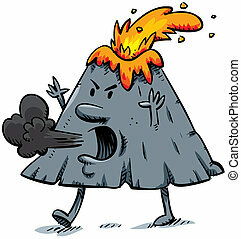 Angry cartoon volcano - vector illustration. 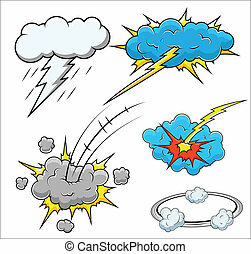 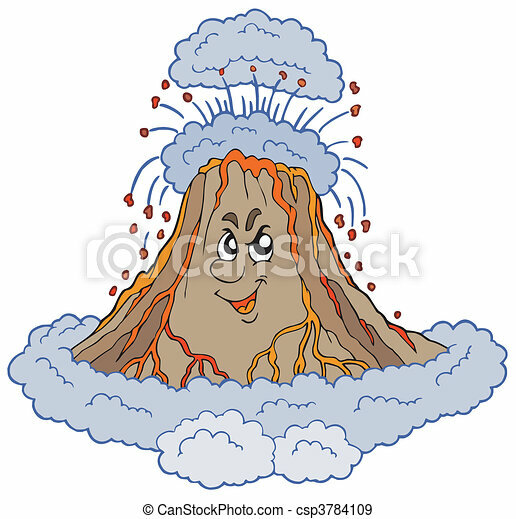 An angry cartoon volcano walks, erupts and blows smoke. 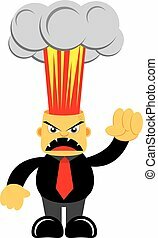 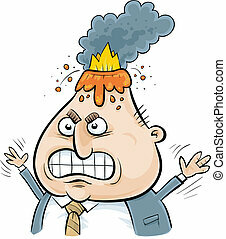 A cartoon volcano erupts from an angry businessman's head. 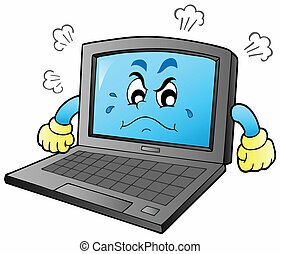 Cartoon angry laptop - vector illustration. 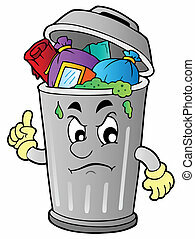 Angry cartoon trash can - vector illustration. 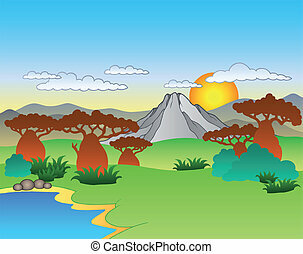 Cartoon African landscape - vector illustration. 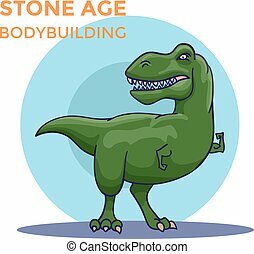 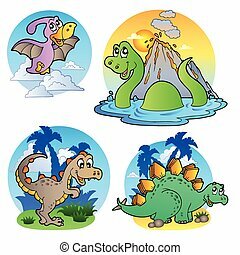 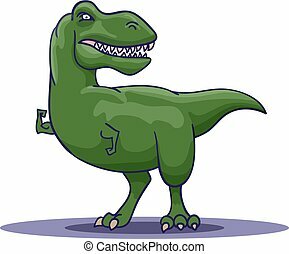 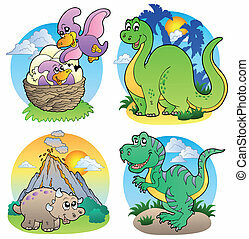 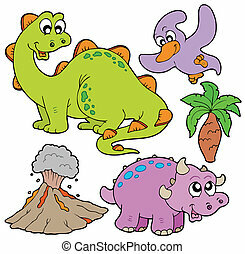 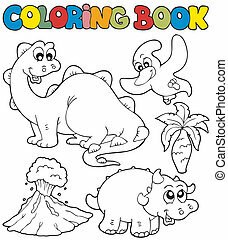 Coloring book with dinosaurs 2 - vector illustration.